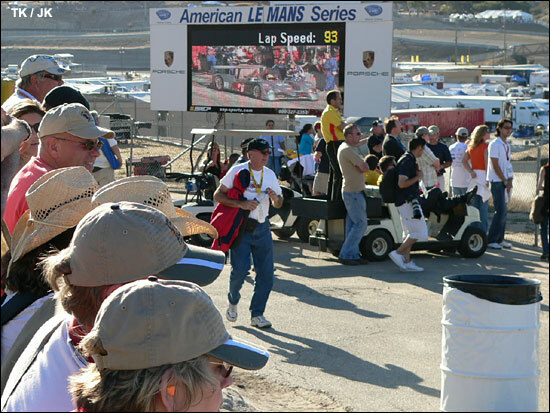 His piece starts out thus: “I hate to say that the ALMS is the best-kept secret in motorsports, but it’s got to be close. 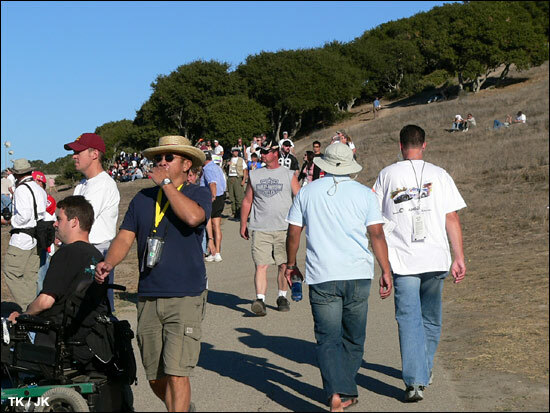 Granted, Mazda Raceway at Laguna Seca is a big place with big hills, and small people can pick out a vantage point just about anywhere around the 2.2-mile track to take in action. On the two days leading up to the four-hour Saturday afternoon-evening race, there was no one at the track. 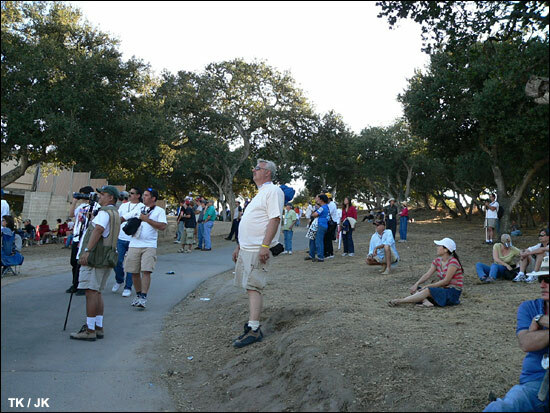 I’d bet crew and team members outnumbered spectators. 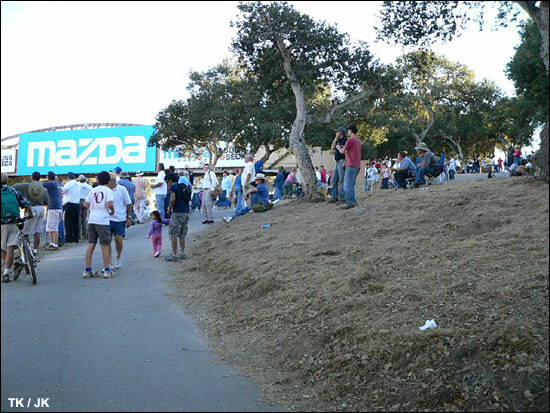 So on race day the crowd was a bit larger than “no one”? 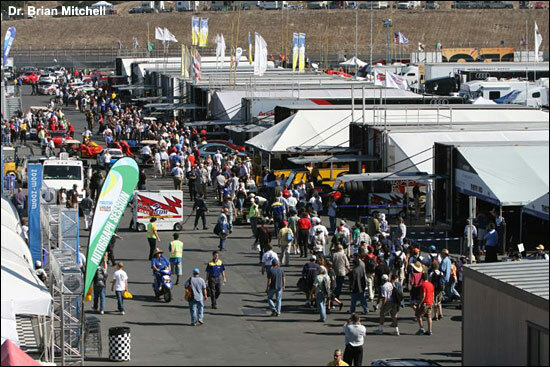 “Reece White (at Laguna Seca) has said tickets were up 15 percent,” says Ryan Smith at the ALMS. He hasn't got an actual crowd total yet, but we're happy to accept a weekend figure of 60,000+. 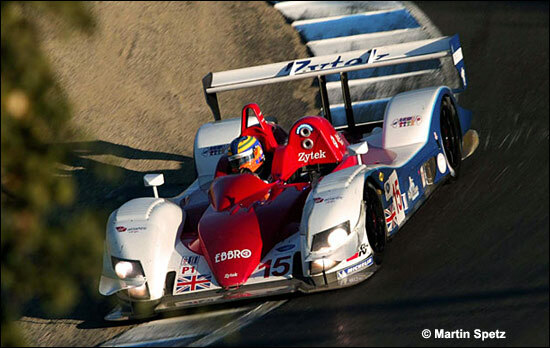 “The last four rounds -- Road America through Laguna -- really showed tremendous gains from 2005,” adds Ryan Smith. Mosport was the slight exception: numbers down by 400 – thanks to the vile weather on race morning. Yes, you’d go to Mosport if it was raining and blowing a gale, but some chose not to. 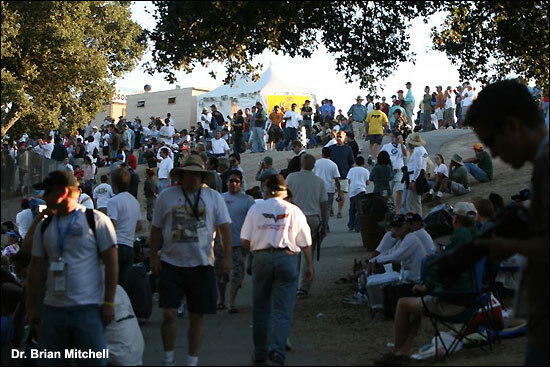 Peitit Le Mans saw the infield closed to vehicles because it was jam-packed full – for an event which featured advance ticket sales up 53% (with a three-day total of over 90,000). 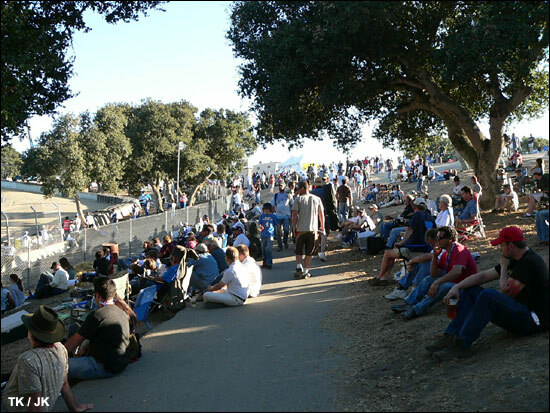 Returning to Laguna Seca, Johnny Mowlem, looking from the other side of the fence, comments that “going through the Corkscrew I could see that the spectator area was packed.” He had quite a good view of it too – although he was rather busy at the time……. 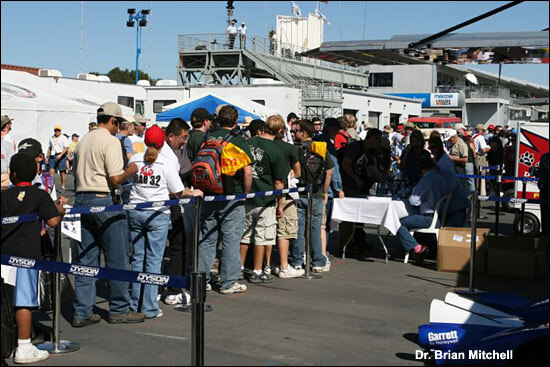 “And during the autograph session, there was a queue for every team’s drivers, and you had to weave your way through the throng. It looked like a good crowd to me." Tom Kjos’s images suggest exactly that. 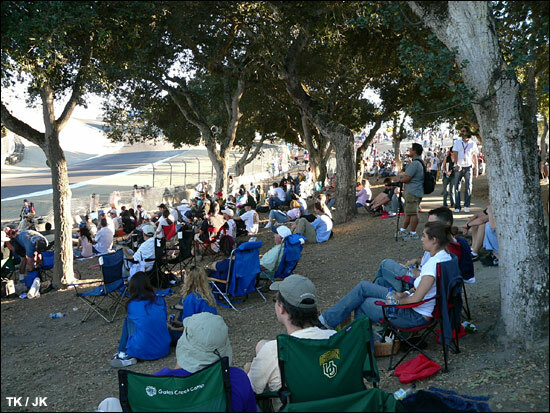 "This sequence was taken headed up along the track (clockwise, from the paddock), at the two hour mark, so it reflects the crowd throughout the race, not just at the start when it will usually look a bit bigger as everyone crowds the track. 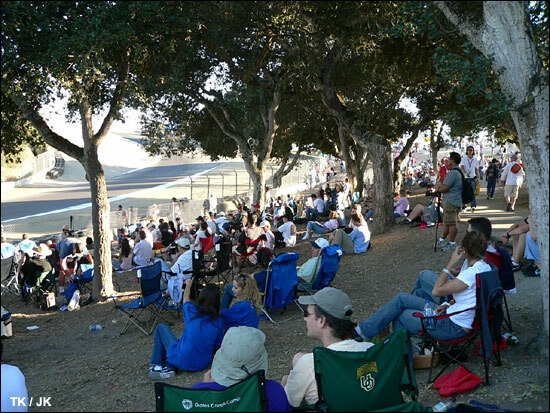 It starts near turn 10 above the scoreboard, and shots are taken along the way up to the Corkscrew, where the last shot is at the new concession stands at the inside of 8 (the Corkscrew)." Three more images at the foot of the page from Dr. Brian Mitchell.